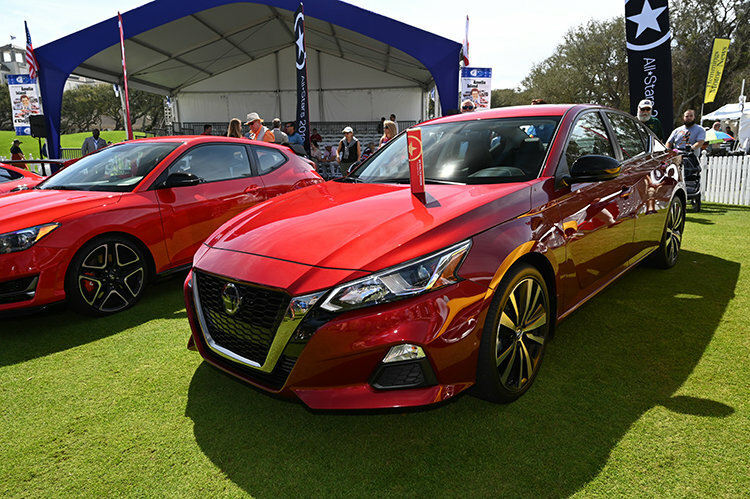 AMELIA ISLAND, Fla. – The 2019 Nissan Altima has been named one of Automobile Magazine's 2019 All-Stars at the Amelia Island Concours d'Elegance. Completely redesigned and engineered from the ground up for the 2019 model year, the Nissan Altima sports a sleek design and outstanding powertrain options, all backed by smart driver-focused technology. Automobile Magazine evaluated the 2019 Altima SR, equipped with a 2.0-liter VC-Turbo engine, noting it was a serious underdog entering the competition. Its composed handling, strong powertrain and attractive design ultimately won over the editors. "We're incredibly proud to receive this award," said Anne Corrao, director, family sedans and sports cars, Nissan North America. "Altima is one of the most important products in our portfolio and to be honored among the best in the business means the world to us." Automobile Magazine prides itself in simply choosing the best new cars on the road each year. There are no price caps and no points to tally, meaning the magazine simply selects the best of the best new cars on the road no matter the class in which they compete. And while each year, every new vehicle model makes the initial list, it must achieve style, class, importance and desirability to achieve "All-Stars" status. Equipped with the revolutionary 2.0-liter VC-Turbo engine, editors were genuinely surprised by its multi-faceted capabilities. Capable of producing the torque typically reserved for a larger engine along with the fuel economy of a four-cylinder. Furthermore, the Altima's confidence-inspiring suspension characteristics are described as performing well above that of class rivals. The 2019 Nissan Altima is on sale at dealerships across the country. For more information on the 2019 Nissan Altima and the complete Nissan vehicle lineup, please visit NissanNews.com.